During our visit to Wyoming this summer we found a hike new to us and returned to an old favorite one. The new site we explored is at the Split Rock rest area about 8 miles west of Muddy Gap on US287/US789. 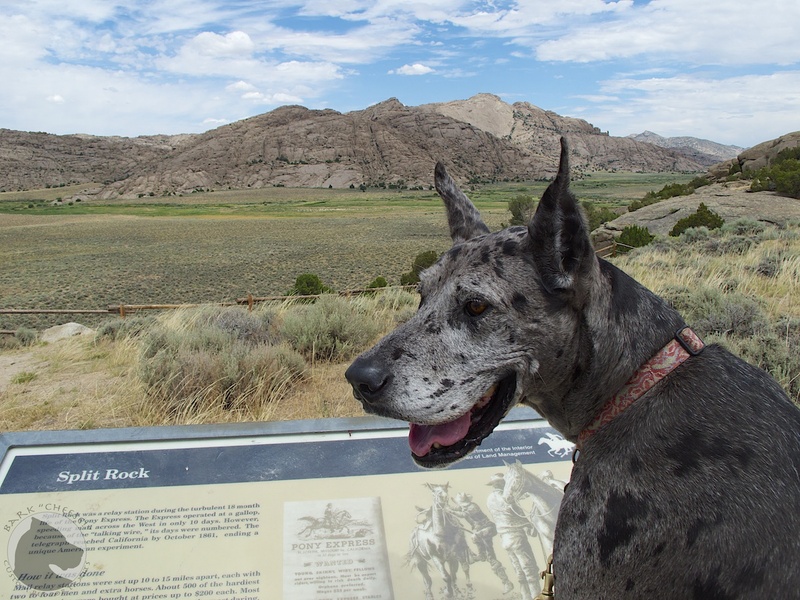 There is a short trail with interpretive signs about the area and a large rock outcropping for the more adventurous people and dogs. While the actual split in the rock is better viewed another 3 miles west, wagon ruts created by the emigrants heading through the pass can be found at this location. A popular hike closer to Lander is the trail up to Popo Agie falls. Drive up Sinks Canyon to Bruce’s Bridge parking area. The hike is 3 miles round trip and if you don’t mind the cold water try out the rock slide into the pool. For more details about the hike click on the photo of Dexter. Dexter at Popo Agie falls. 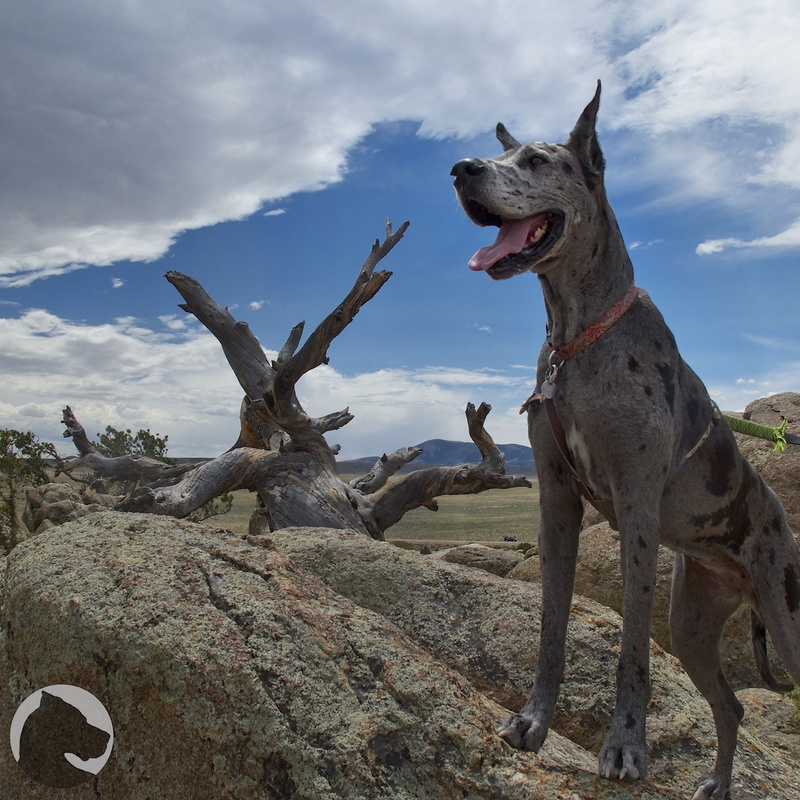 This entry was posted in Great Danes and tagged hiking, pet travel, Split Rock, Wyoming. Bookmark the permalink.